"Two years ago she asked for prayers for me. Now, following a severe stroke, she needs your prayers," writes MK Glick on Twitter. 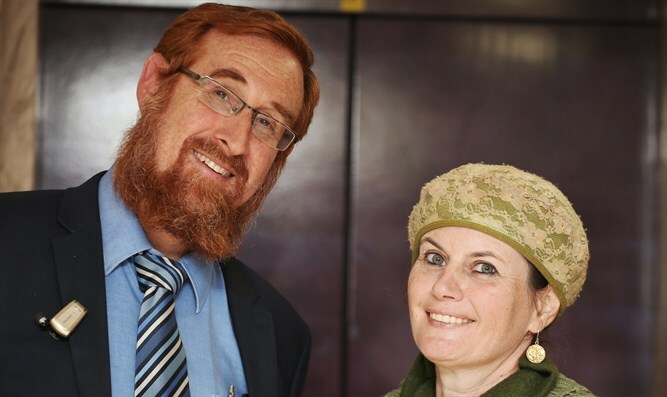 MK Yehuda Glick (Likud) on Sunday published a call on Twitter for prayers for his wife, Yaffa, who suffered a stroke. Glick has been hospitalized at the Shaare Zedek Hospital in Jerusalem since last Friday. "Dear friends, two years ago she asked for prayers for me. Now, following a severe stroke, she needs your prayers. Pray for the health of Yaffa bat Leah,” MK Glick wrote. Many readers did not remain indifferent following his plea on Sunday, and wished his wife a complete recovery. Former Minister Moshe Ya'alon wrote, "“Please, God, heal her! May she be fully healthy and recover soon." MK Bezalel Smotrich (Jewish Home) responded to Glick's statement by wishing his wife a full recovery and adding, “We are praying." Coalition Chairman MK David Bitan (Likud) also responded and wrote, "Dear Yehuda, I wish your wife Yaffa bat Leah a full recovery. The prayers of me and my family are with you." MK Glick, who founded and heads the LIBA Initiative for Jewish Freedom on the Temple Mount, was shot in the chest in October of 2014 by an Islamic Jihad terrorist but miraculously recovered from his critical injuries.